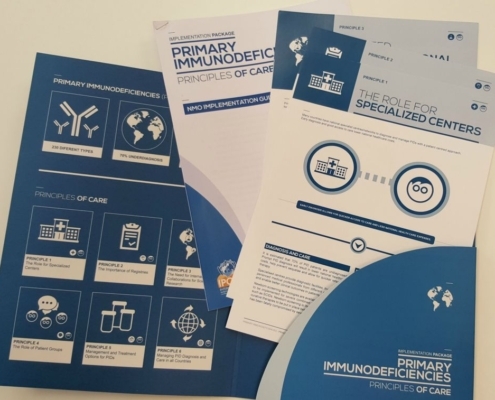 IPOPI is pleased to announce the publication of the ‘PID Principles of Care Implementation Package’, a new key document designed specifically for our National Member Organisations (NMOs) and aimed at facilitating the use of the “Primary Immunodeficiencies Principles of Care” paper. 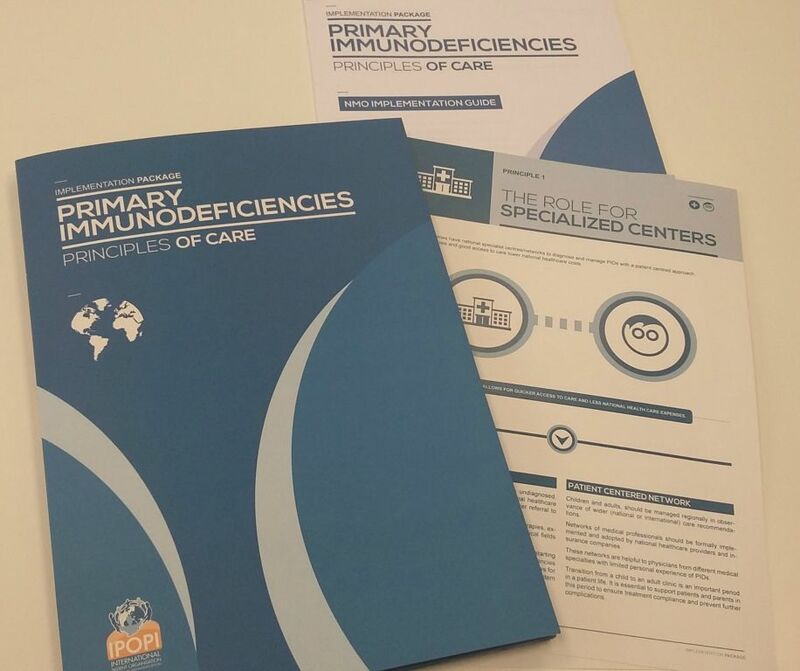 Two years ago IPOPI led a Working Party of specialists to develop the “Primary Immunodeficiencies Principles of Care” which outlines the key elements that should be in place in each country and region to provide a “gold standard” framework of diagnosis and care for primary immunodeficiencies (PIDs). 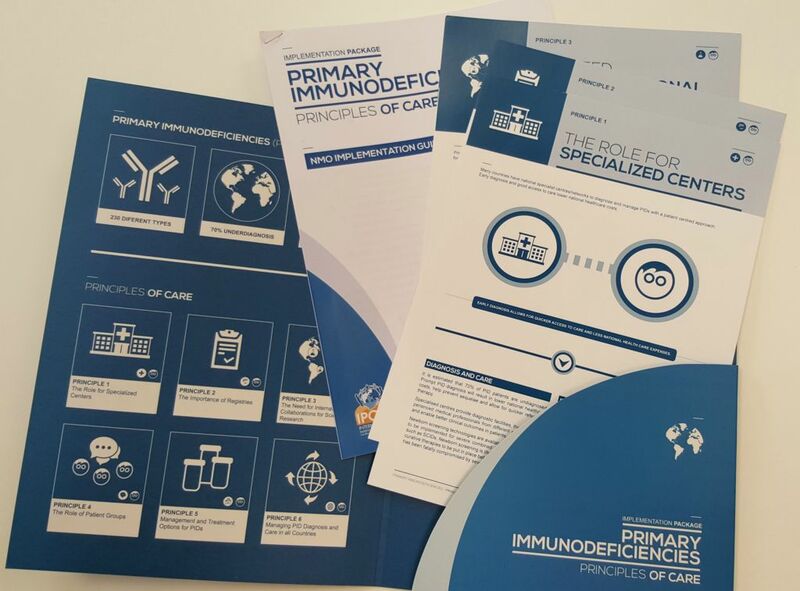 The paper identifies 6 Principles of Care: the role for specialised centres, the importance of registries, the need for international collaborations for scientific research, the role of patients groups, management and treatment options for PIDs, and, management of PID diagnosis and care throughout the world. 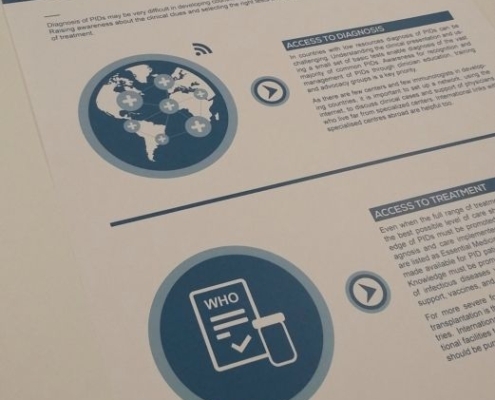 IPOPI and the PID Principles of Care Working Party invited the PID community and stakeholders to use it for their awareness and policy actions. 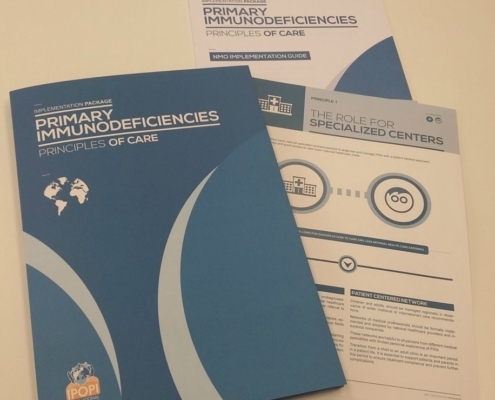 The PID Principles of Care Implementation Package provides information and guidance on how to prioritise and use the Principles according to each country’s environment as well as tips on how to use them in policy and awareness campaigns. 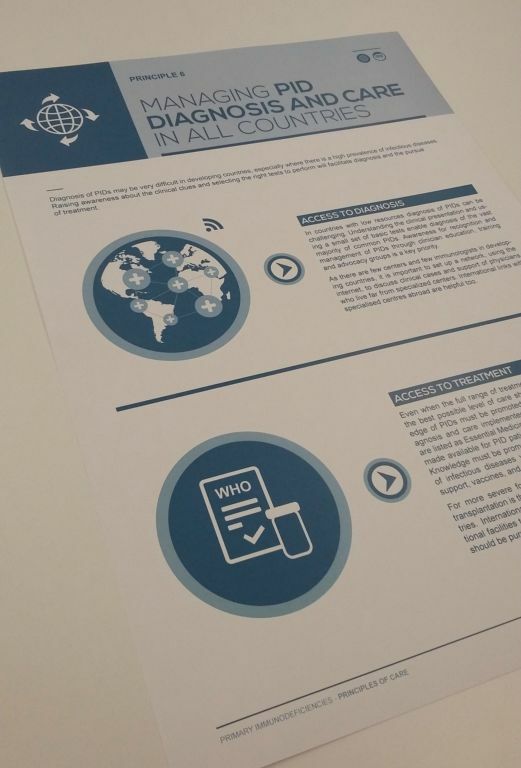 The Package comes with a NMO dedicated ‘Implementation guide’, dedicated image and infographics. 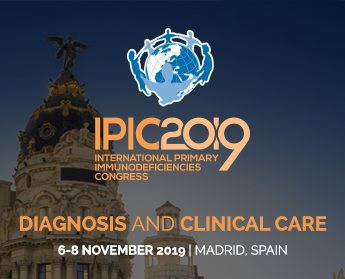 We invite all our NMOs to use the “PIDs Principles of Care Implementation Package” to promote better access to early diagnosis and care for PID patients worldwide. Spanish version done with the kind partnership of AAPIDP, PID patient group from Argentina.